What lies beneath the layered south pole of Mars? 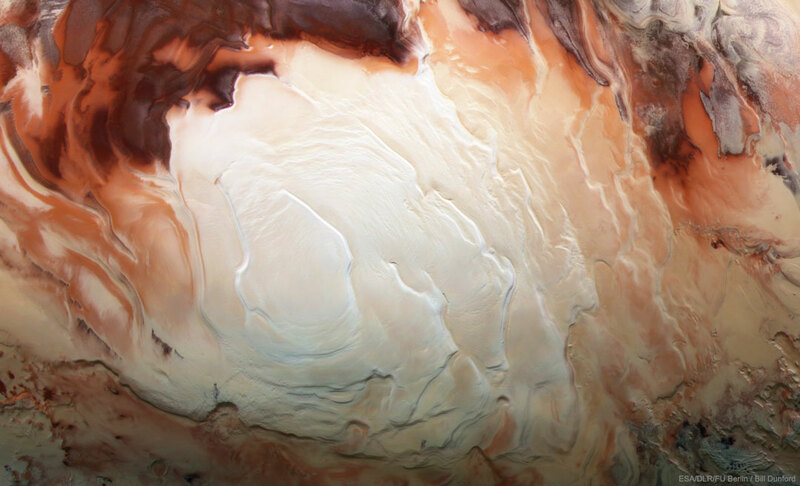 A recent measurement with ground-penetrating radar from ESA’s Mars Express satellite has detected a bright reflection layer consistent with an underground lake of salty water. The reflection comes from about 1.5-km down but covers an area 200-km across. Liquid water evaporates quickly from the surface of Mars, but a briny confined lake, such as implied by the radar reflection, could last much longer and be a candidate to host life such as microbes. Pictured, an infrared, green, and blue image of the south pole of Mars taken by Mars Express in 2012 shows a complex mixture of layers of dirt, frozen carbon dioxide, and frozen water. What wonders lie at the center of our Galaxy? In Jules Verne‘s science fiction classic A Journey to the Center of the Earth, Professor Liedenbrock and his fellow explorers encounter many strange and exciting wonders. Astronomers already know of some of the bizarre objects that exist at our Galactic center, including like vast cosmic dust clouds, bright star clusters, swirling rings of gas, and even a supermassive black hole. Much of the Galactic Center is shielded from our view in visible light by the intervening dust and gas, but it can be explored using other forms of electromagnetic radiation. The featured video is actually a digital zoom into the Milky Way’s center which starts by utilizing visible light images from the Digitized Sky Survey. 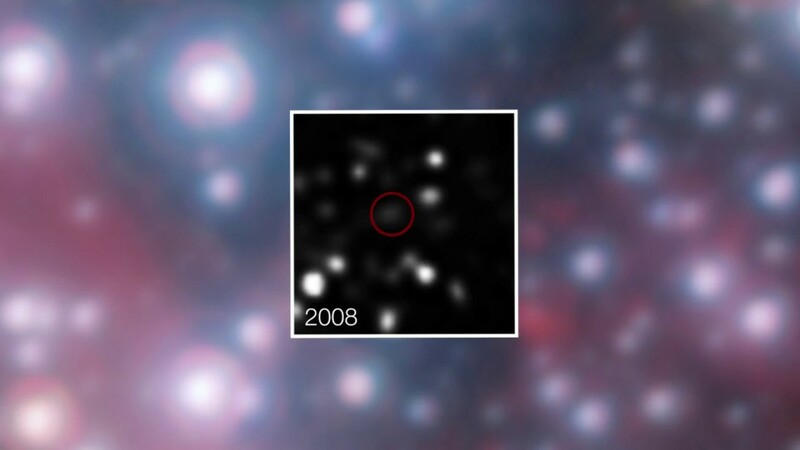 As the movie proceeds, the light shown shifts to dust-penetrating infrared and highlights gas clouds that were recently discovered in 2013 to be falling toward central black hole. In 2018 May, observations of a star passing near the Milky Way’s central black hole showed, for the first time, a gravitational redshift of the star’s light — as expected from Einstein’s general relativity. 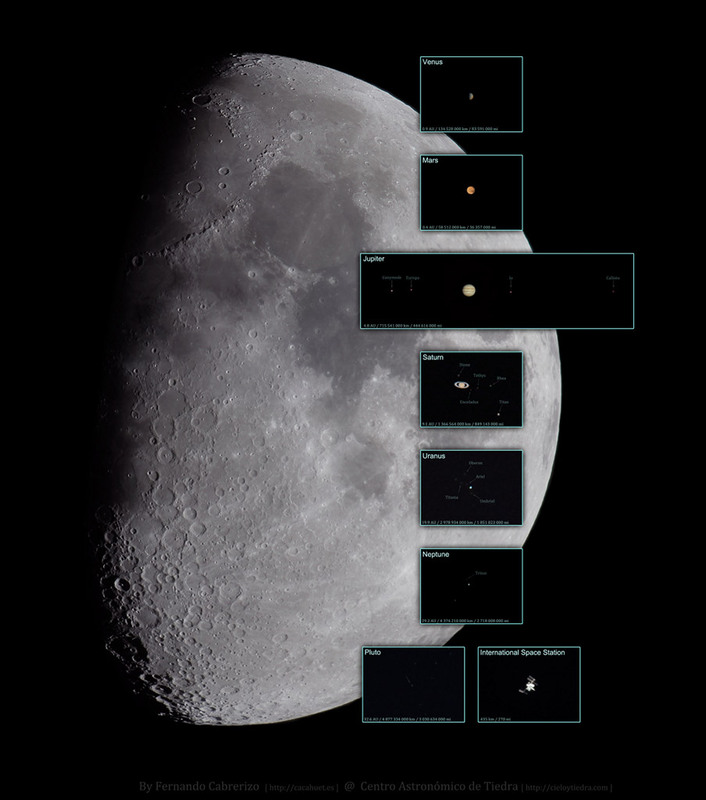 Taken on the same night, from the same place, with the same telescope and camera, these postcards from our Solar System are shown at the same scale to provide an interesting comparison of apparent sizes. Spanning about half a degree in planet Earth’s sky, the Moon is a stitched mosaic of six images. The others are the result of digitally stacked frames or simple single exposures, with the real distances to the objects indicated along the bottom of each insert. Most of the Solar System’s planets with their brighter moons, and Pluto were captured during the telescopic expedition, but elusive Mercury was missed because of clouds near the horizon. 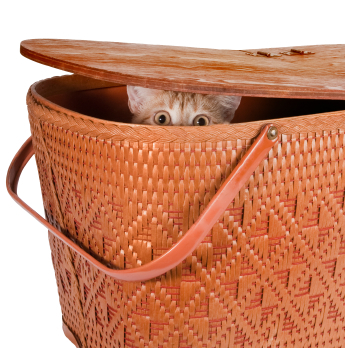 The International Space Station was successfully hunted, though. The night was July 21st. Telescope and camera were located at the Centro Astronomico de Tiedra Observatory in Spain. Look opposite the Sun in the sky tonight and you’ll see Mars at its brightest. Also within days of its closest approach Mars rises at sunset, near its brightest and best for telescopic observers too, except for the dust storm still blanketing the Red Planet. 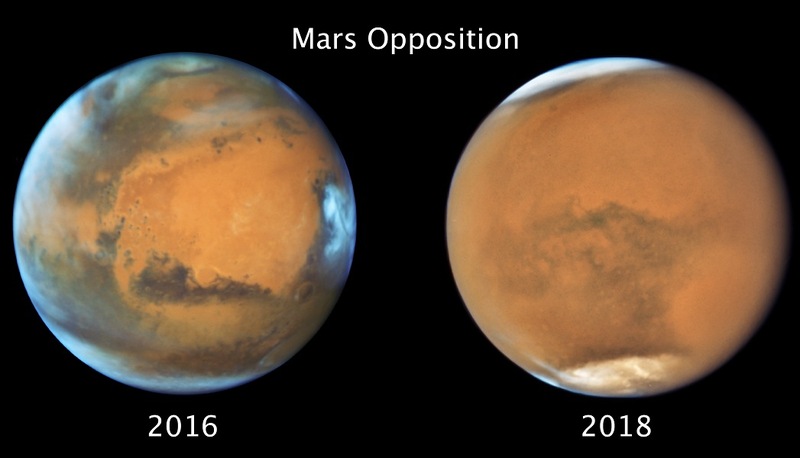 These two Hubble Space Telescope images compare Mars’ appearance near its 2016 and 2018 oppositions. In 2016 the martian atmosphere was clear. Captured just days ago, the 2018 image shows almost the same face of Mars. Surface features obscured by dust, the planet’s cloud enshrouded south pole is tilted more toward the Sun. Increased heat in the southern hemisphere spring and summer likely triggers planet wide dust storms. Of course, if you look opposite the Sun in the sky tonight, you’ll also see a Full Moon near Mars. Skygazers NOT located in North America could see the Red Planet near a Red Moon during a Total Lunar Eclipse. These dark markings on the sky can just be found in silhouette against a rich, luminous background of stars. 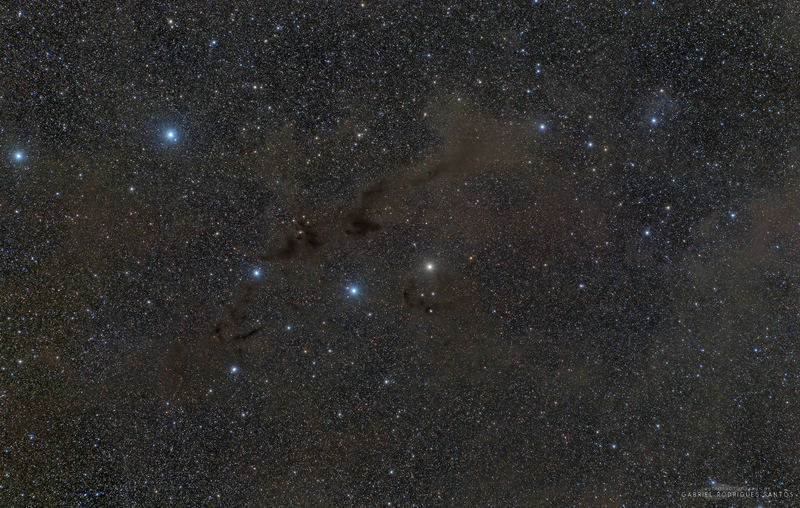 Seen toward the southern constellation of Lupus the Wolf, the dusty, obscuring clouds are part of the Lupus Molecular Cloud some 500 light-years distant. Packs of low mass stars are forming within them, from collapsing cores only visible at long infrared wavelengths. Still, colorful stars in Lupus add to this pretty galactic skyscape. It spans about 8 degrees, not far from the central Milky Way. What kind of celestial object is this? A relatively normal galaxy — but seen from its edge. 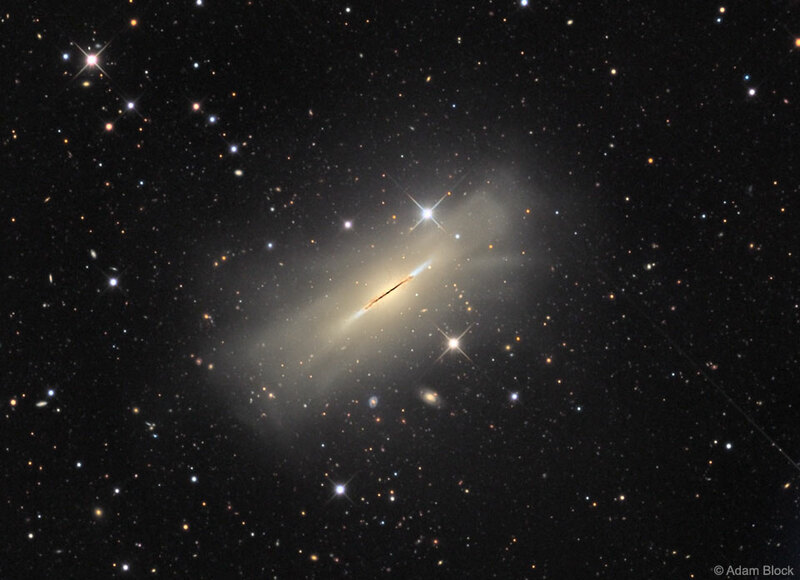 Many disk galaxies are actually just as thin as NGC 5866, pictured here, but are not seen edge-on from our vantage point. A perhaps more familiar galaxy seen edge-on is our own Milky Way Galaxy. Cataloged as M102 and NGC 5866, the Spindle galaxy has numerous and complex dust lanes appearing dark and red, while many of the bright stars in the disk give it a more blue underlying hue. The blue disk of young stars can be seen extending past the dust in the extremely thin galactic plane. There is evidence that the Spindle galaxy has cannibalized smaller galaxies over the past billion years or so, including multiple streams of faint stars, dark dust that extends away from the main galactic plane, and a surrounding group of galaxies (not shown). In general, many disk galaxies become thin because the gas that forms them collides with itself as it rotates about the gravitational center. The Spindle galaxy lies about 50 million light years distant toward the constellation of the Dragon (Draco). If you go high enough, you may find yourself on a picturesque perch between the water clouds of the Earth and the star clouds of the Milky Way. Such was the case last month for one adventurous alpinist astrophotographer. Captured here in the foreground above white clouds are mountain peaks in the Dolomite range in northern Italy. This multi-exposure image was captured from Lagazuoi, one of the Dolomites. Hundreds of millions of years ago, the Dolomites were not mountains but islands an ancient sea that rose through colliding tectonic plates. The Dolomites divergent history accounts for its unusually contrasting features, which include jagged crests and ancient marine fossils. 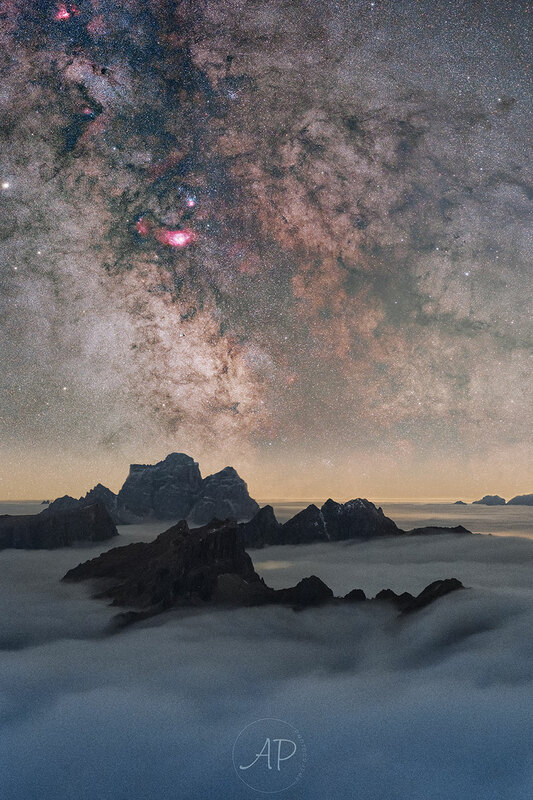 High above even the Dolomites, and far in the distance, dark dust lanes streak out from the central plane of our Milky Way Galaxy. The stars and dust are dotted with bright red clouds of glowing hydrogen gas — such as the Lagoon Nebula just above and to the left of center.